Mines are going digital. Telematics (using technology to track and monitor remote vehicles and other assets) has the potential to dramatically improve the productivity of mine sites by putting swathes of data in the hands of mining operators, who can then take that information and identify key areas that need attention. The use of telematics in mining operations benefits companies in several key areas. The need to improve productivity is a pressing issue for the mining industry, and one of the top three concerns for the gold, aluminium and iron ore mining industries in particular, according to Ernst & Young Global Limited, commodities that make up a significant portion of the Australian economy. We are the world's largest global exporter of aluminium and iron ore alone, reports the Department of Industry, Innovation and Science, so opportunities to improve productivity will benefit these important industries. Real-time GPS visibility of remote vehicles and assets on remote locations lets companies monitor developments within mine sites but also improve efficiency, track assets and integrate this data with the mine's operations. Additionally, journey mapping (otherwise known as in-vehicle management systems or IVMS) is able to track and monitor driver habits and actions, which is crucial for safe operation in dangerous working environments such as mine sites. Display speed limits and road mapping to ensure efficient use of assets. Update staff in real-time of hazards and developments during journeys to minimise time wasted. Provide instant response and communication between remote drivers and managers in the event of an incident. Telematics improves driver safety and behaviour. A proactive approach is needed to create safe working environments for employees in and around mine sites. Fostering healthy workplaces is fundamental to improving productivity, reports Deloitte in it's top 10 mining trends for 2017 report. Entering no-go or hazardous areas. Not using a seat belt. Door open whilst vehicle moving. Hand brake not engaged when stopping. 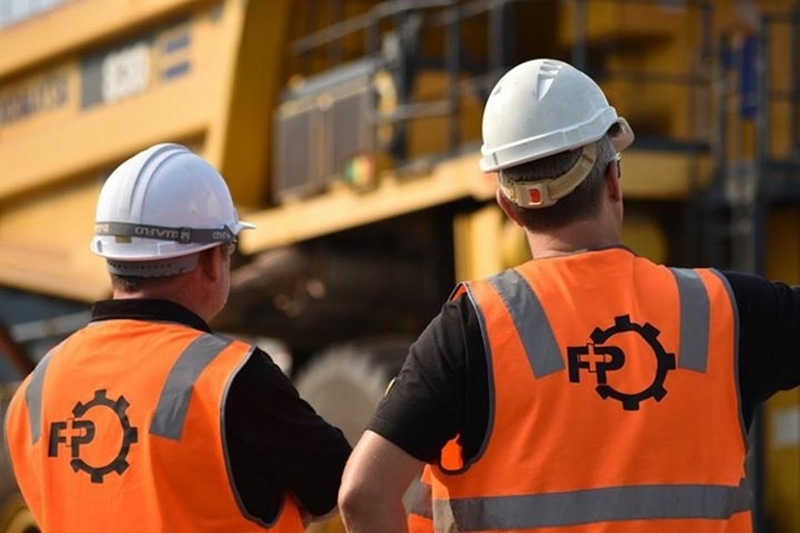 Aggregating all this data through software specifically tailored to the mining industry can help create a safe and productive working environment, quickly identifying risks to driver health and minimising them so they don't impact productivity. With a clear strategy, telematics has the potential to improve the efficiency, and therefore productivity of mining operations. To thrive in a digital future, mining companies need a clear strategy moving forward in order to reap the rewards this information brings, says Deloitte. For example, as cloud computing introduces mobility in the ways drivers and organisations collect and communicate data, cybersecurity becomes something that must be addressed. Beyond security, when implementing a digital strategy such as the use of telematics in logistic and fleet management, a corresponding support structure is needed. With a clear strategy, telematics has the potential to improve the efficiency - and therefore productivity - of mining operations, addressing one of the key issues the industry is facing moving forward. Pinpoint Communications is your go-to place for all things related to GPS telematics and mobility solutions. We've deployed over 15,000 in-vehicle units both in Australia and internationally, with many mining applications. To find out more about our solutions, get in touch with the team today.